Effective Date: March 28, 2019. The information you contribute is used by Comscore, a globally-recognized authority on market research and digital consumption behavior trends, whose data are routinely cited by major media outlets such as The New York Times, The Wall Street Journal, and CNN. The data are extensively relied upon by the largest Internet services companies and scores of Fortune 500 companies to improve their online offerings. Comscore will not use the personal information you provide to us to advertise to you or to market products or services to you without your permission. Voluntary participation in our Panel will allow us to send you periodic surveys and track all information about your activities on any computer on which you install our software or any device that you connect to that computer, such as the websites you visit, the information you view or enter on these websites, and the transactions that you make. Websites, Registration, and Surveys. We may collect personal information about you when you voluntarily provide us with such information, such as when you register to participate in our Panel or otherwise provide information through one of our Websites covered by this policy. We may collect such information directly from you or we may receive it from a third-party company that is acting on our behalf or that otherwise refers you to us. For example, you may provide us with personal information when you submit an online form or otherwise communicate with us through our Websites. This information may include your name, address, phone number, and email address, among other types of information, including any personal information you provide to us in a message. Our Panels and Software. We may also collect personal and other information about you when you choose to participate in our Panels by voluntarily downloading and enabling our software. This software allows us to monitor your digital consumption behavior on the computer on which you install our software and any devices that you connect to that computer. Our software collects this information regardless of whether you are connected to the Internet at the time. The computer and device usage information that we collect includes information about your use of any applications on your computer or connected devices, including information about the types of applications you use and general statistics about how you use them. If you allow others to use the computer on which you install the software or any connected devices, or to connect their device to your computer, information about their use of your computer or any device that is connected to your computer will also be collected. Our software also collects information about any Internet activities that you or others engage in using your computer or any connected devices. The information that our software collects about your Internet activities may include information about your web browsing activities and any content on the websites you visit and in the applications you use, the context and location in which certain content is displayed on individual web pages, any information that is available through these websites or applications, any information that you submit to these websites and applications, select email header information from web-based emails, information about any software that you download or use, information about your computer or device, and information about your use of video streaming services. Our software may also collect information about the activity that you undertake during secure sessions, such as filling a shopping basket, completing an application form, or checking online accounts. This may include collecting information about the content you view on the pages you visit during both normal and secure sessions, as well as any information that you submit through the websites you visit during these sessions. Our technology may use a root certificate, which may allow us to decrypt secure URLs and pages. We may also use other software-based technologies to collect this information from your device. Our software may also collect information regarding the cookies that exist on the computer or device. We make commercially reasonable efforts to automatically filter certain personal information collected from our Panelists such as password, credit card numbers, and account numbers. However, we may collect such information about our panelists. We make commercially reasonable efforts to destroy or encrypt any confidential personal information that is not filtered automatically. We also audit our processes on a regular basis to refine our collection methods to prevent the collection of this information going forward. When we collect information transmitted during a secure session, such as any activity that takes place across the HTTPS protocol, we take reasonable precautions to protect the security of the information that we collect. For example, such information may be transmitted from your device to our software through a secure connection and then from our software to the destination server through a second secure connection. If you have created an account for the Panel in which you choose to participate, any information collected from or about you as a result of your participation in the Panel may be associated with your account, including the personal information associated with that account. We may use the information collected through our software and your survey responses, combined with information from other sources, to make predictions and evaluations about current and future digital consumption behavior. We make this data available so that our customers may enhance their own understanding of digital consumption trends. Additionally, we may use the personal information that you provide to us to operate and improve our products and services, including our Websites; to communicate with you; to provide you with information or services that you have requested; and to provide our products and services to our customers. We may use and disclose any information that is aggregated or de-identified so that it does not identify you personally, in our discretion. You also agree that we may use the information we have collected from you to identify your use of search engines, email providers, social networks and other application service providers whose Internet sites you visit. We make the data that we collect available to companies that are our customers, so that they may enhance their own understanding of digital consumption behavior and online commercial trends. Such reports are commonly provided in the form of aggregate data. However, we may also provide data to our customers in the form of unprocessed individual records. Our customers may combine, use, and disclose the information that we provide to them according to their own privacy policies. When you visit the Websites, we may set tags on your browser that collect data for the ScorecardResearch service, a service offered by Full Circle Studies, Inc. (“Full Circle Studies”) which is also part of the Comscore market research group. These tags may collect data about your Web browsing over time and across digital properties, including information about the possible relationships among different browsers and devices, and provide this data to third parties to improve their ad campaigns and to use for their own interest-based advertising purposes. We adhere to the Digital Advertising Alliance Self-Regulatory Principles in connection with this activity. You may visit www.aboutads.info/choices to learn more about interest-based advertising, to opt out of our collection and transfer of Web browsing data for interest-based advertising purposes, and to opt out of the collection and use of data for this purpose by other companies that participate in industry self-regulation. Please note that opting out will not stop advertising from appearing in your browser or in the applications you use. It may make the ads you see less relevant to your interests. You may also continue to receive interest-based advertising from other companies. Additionally, please note that if you use a different browser or device, erase cookies from your browser or reset your mobile device’s platform advertising ID, you may need to renew your opt-out choices. The Websites may also set tags on your browser that collect data for the ScorecardResearch service for market research purposes. You may control your level of participation in our market research programs by visiting: http://www.scorecardresearch.com/preferences.aspx. This opt-out will also prevent you from participating in other market research programs from Full Circle Studies. We will continue to identify that a user visited a website, but we will not associate that event with your browser. Additionally, if your mobile device platform offers settings to limit data collection for interest-based advertising, you can use these settings to opt out of participating in our market research programs with respect to our data collection from applications on that mobile device. What if you wish to stop participating in a Panel? To stop participating in our Panels, please remove our software from your computer. If you remove our software without changing your communication preferences, you still may be contacted for administrative purposes or for special participant opportunities. We do not react to Do Not Track Signals because there is no standard for how those signals are sent. If you would like to access, modify, and/or request deletion of any personal information you have provided to us through one of the Websites covered by this policy, you may contact us through the support form on the relevant Website, or email our support staff at the email address provided below. If you visit our Websites or participate in our Panels from locations outside of the United States, please note that any information you provide to us through your use of our Websites or your participation in the Panels may be transferred to and processed in countries other than the country from which you accessed our Websites or participated in our Panels, including the United States where our central database is operated. Subject to the next paragraph below, please be aware that the United States, and other countries in which your data may be maintained, may not offer an equivalent level of protection as provided for in your country. Comscore Inc. complies with the EU-U.S. Privacy Shield Framework and the Swiss-U.S. Privacy Shield Framework as set forth by the U.S. Department of Commerce regarding the collection, use, and retention of personal information transferred from the European Economic Area, the United Kingdom, and Switzerland to the United States. To learn more, please view our EU-U.S. Privacy Shield and Swiss-U.S. Privacy Shield Statement. 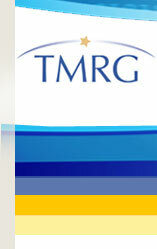 For any support issues, please contact: support@tmrginc.com.